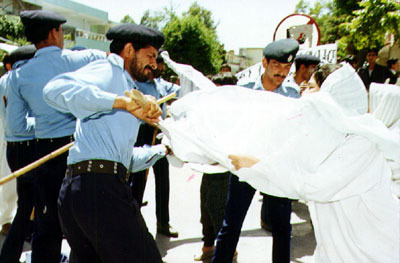 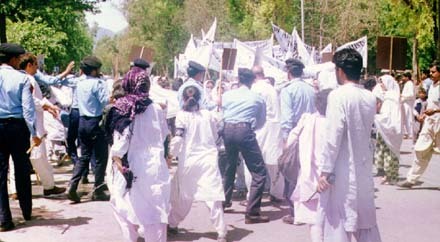 April 30: Former PM, Benazir Bhutto has expressed her grave concern over the police baton charging on Afghan women and children who were demonstrating aganist continuing bloodshed in their homeland. 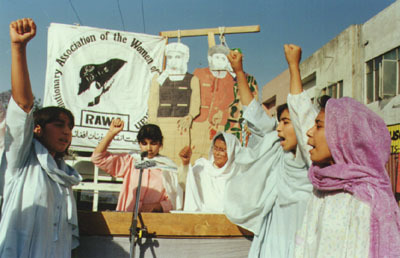 A member of RAWA draws Hanif Ramay's (at that time speaker of Punjab Assembly) attention towards the portrait depicting the pathetic situation in Afghanistan. 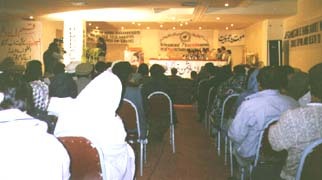 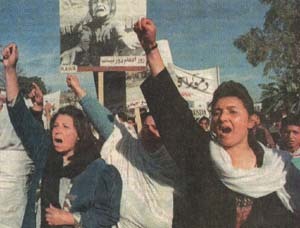 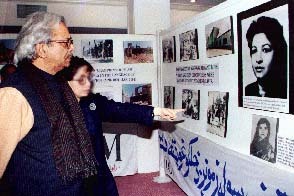 Through a photo exhibition at the 8th Martyrdom Anniversary of Meena (Feb.4,1995), RAWA exposing the barbaric nature of the Afghan fundamentalists.